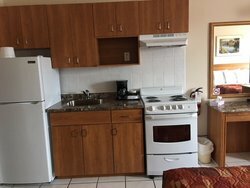 Looking for places to stay in Newmarket, Ontario? 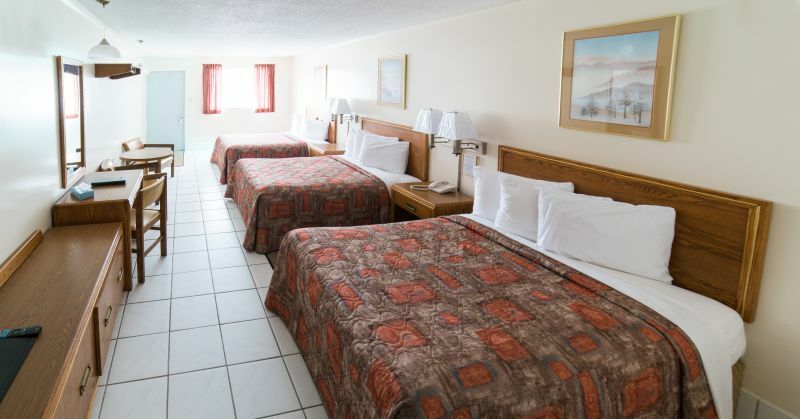 We’ve got the perfect accommodations for to suit any traveler. 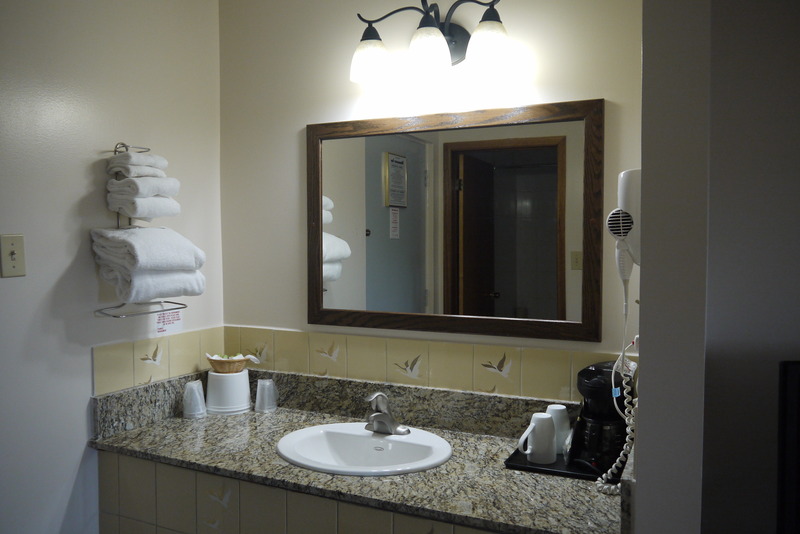 Our charming Newmarket hotel provides guests with well-appointed accommodations and a range of on-site amenities designed to make you feel at home. 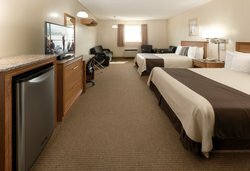 Our resort-style hotel features a variety of guest rooms designed to meet each guest’s individual needs, from cozy one queen bed rooms to larger suites. Perfect for a romantic getaway, our king bed with a Jacuzzi and fireplace is the perfect combination of comfort and convenience. Enjoy in-room amenities like a cozy king sized bed, luxurious Jacuzzi, and a stylish glass fireplace. 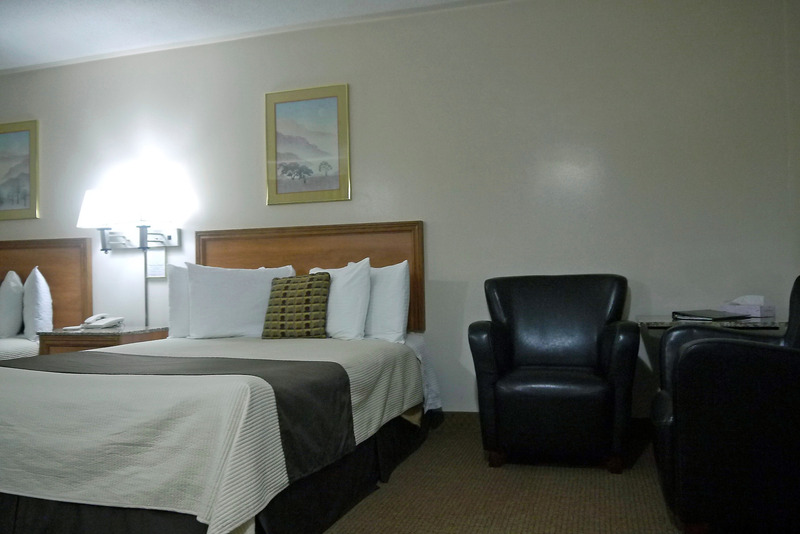 Guests visiting with friends or family will enjoy our spacious family-sized room. Accommodating up to four guests, this large room features a full kitchen, four piece bathroom, and tons of other amenities that will make you feel at home. 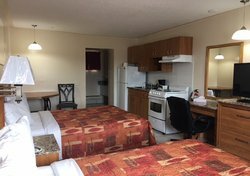 Guests looking for places to stay in Newmarket during a business trip can enjoy the comfort and convenience of the Newmarket Inn. Each of our guest rooms comes equipped with complimentary high-speed Wi-Fi, as well as a table or desk, so guests can get to work before their next big meeting. 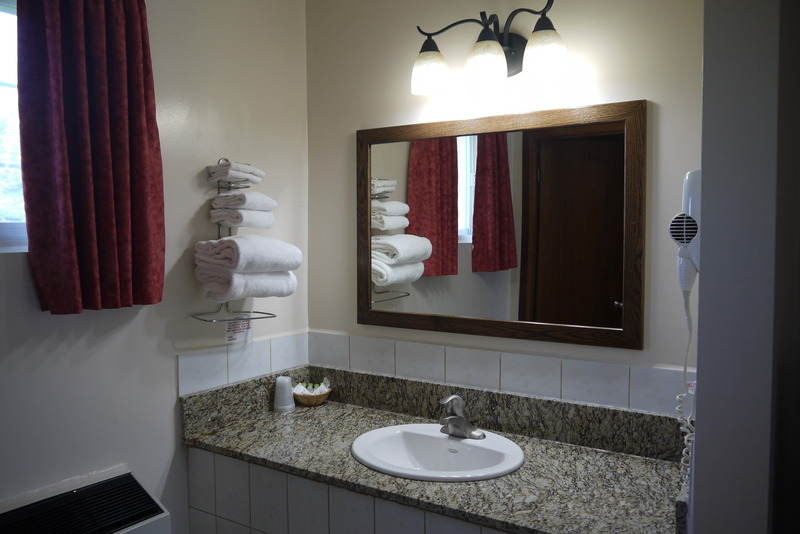 Guests of the Newmarket Inn can enjoy our hotel’s charming amenities throughout their stay with us. Start your day off with a delicious complimentary light breakfast, or take a dip in our hotel’s indoor pool. Make sure to take a stroll through our hotel’s beautiful garden, or enjoy a game at our hotel’s on-site tennis court! 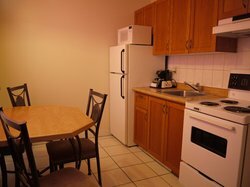 Our charming inn is one of the best places to stay in Newmarket, Ontario. 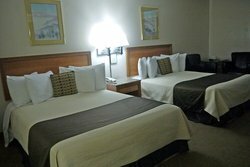 Our unique and well-appointed guest rooms are the perfect setting for your next GTA getaway. 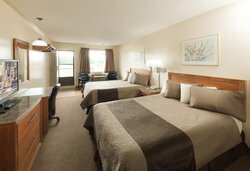 Book your stay at the Newmarket Inn today! Enjoy your stay in a spacious room featuring two queen beds in a tasteful atmosphere. Enjoy free access to high-speed Wi-Fi, entertainment on a 37-inch flat screen TV, bar fridge and coffeemaker. 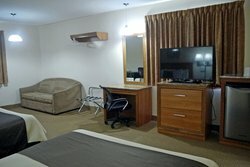 This room is located on the second floor of the main front building with a beautiful view of sunsets from your balcony. Rest soundly in a room designed with your comfort in mind. Featuring one queen bed, this room provides everything you need to feel right at home. 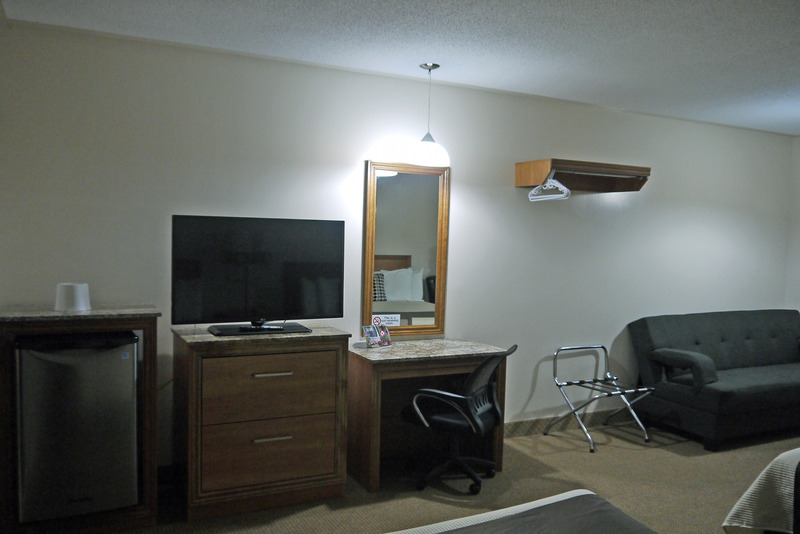 Enjoy unlimited Wi-Fi access, 37-inch flat screen TV, 4 piece bath and separate sink area. 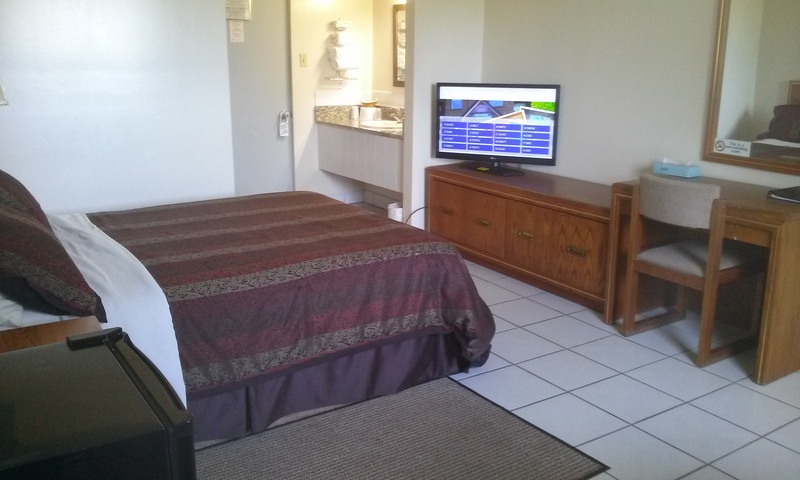 Feel at home in this room designed with your convenience in mind. Rest, undisturbed, in two double beds and make use of a private kitchenette for your exclusive use. This room also features free Wi-Fi, 37-inch flat screen TV, bar fridge and coffeemaker. Feel refreshed in a 4-piece bath with separate sink, counter and hair dryer. The definition of luxury and convenience combined. This room features a spacious corner Jacuzzi tub and a glass fireplace for your personal use and enjoyment. 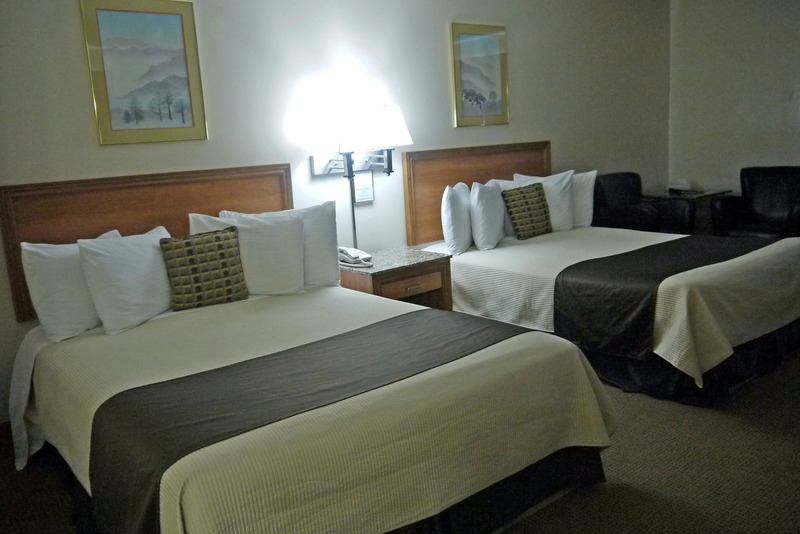 Sleep soundly in a cozy king size bed designed for comfort and relaxation. 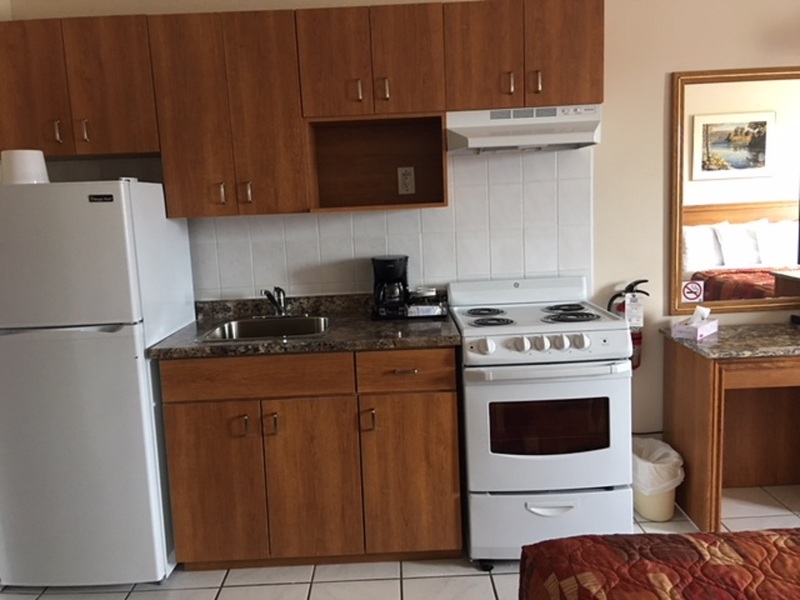 Stay connected with free access to Wi-Fi available in all areas of the property. Relax in this family size room with 2 queen beds, small table with 2 chairs, and a sofa. Enjoy a renovated 4-piece bath with small fridge and coffeemaker, in addition to free Wi-Fi and cable TV. Enjoy the spacious atmosphere of this one-bedroom suite where you can truly unwind and relax. 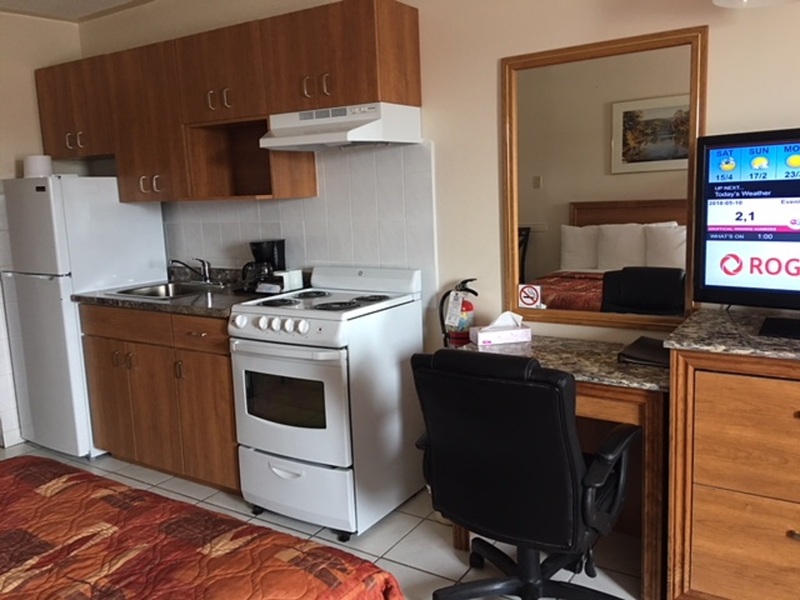 This main-level, non-smoking suite features two double beds in a separated bedroom, Free Wi-Fi, LG 37-inch flat screen TV, and a fully equipped kitchen with fridge, stove, microwave and coffeemaker. 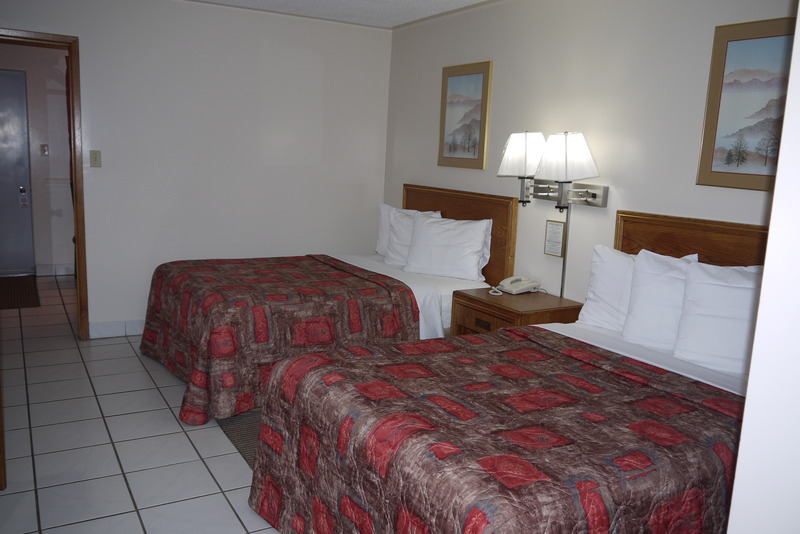 Park right in front of your room for easy in-and-out access. The perfect place to stay in Newmarket with family or friends, our standard room with three double beds accommodates up to 6 guests comfortably. 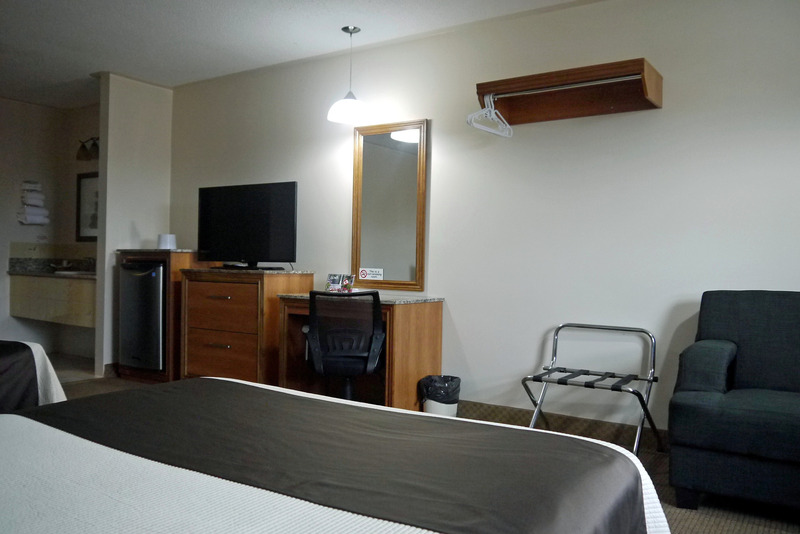 Enjoy in-room amenities like complimentary high-speed Wi-Fi, a 37-inch flat screen TV, a bar fridge, and coffee maker, while enjoying the view from our large and bright windows.